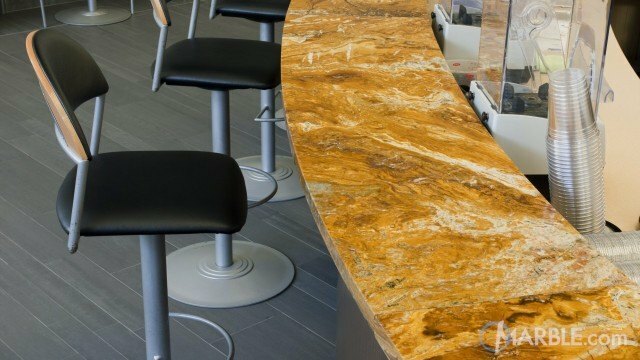 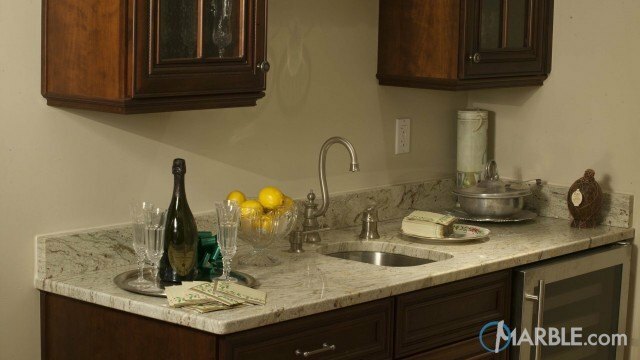 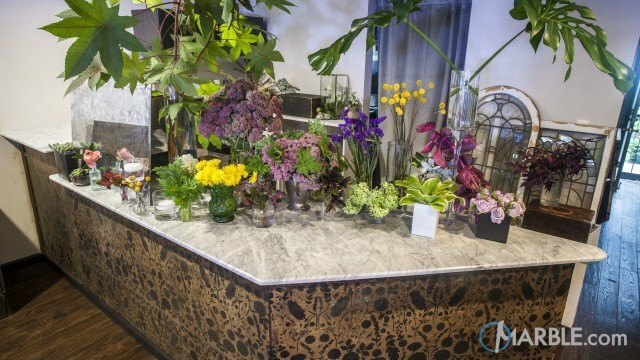 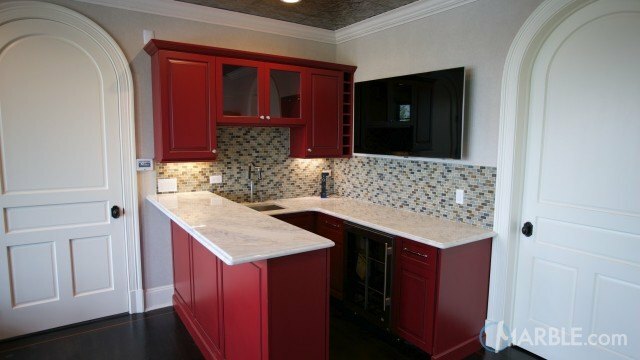 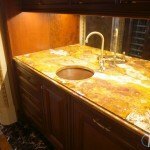 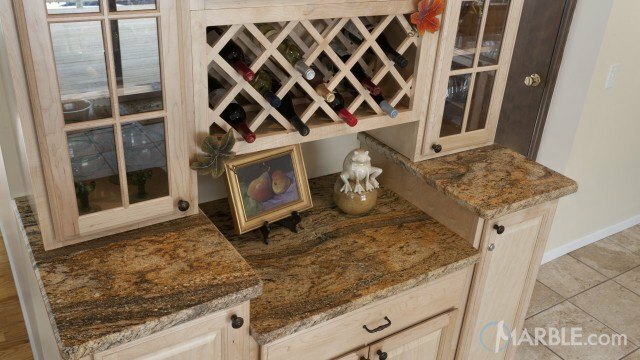 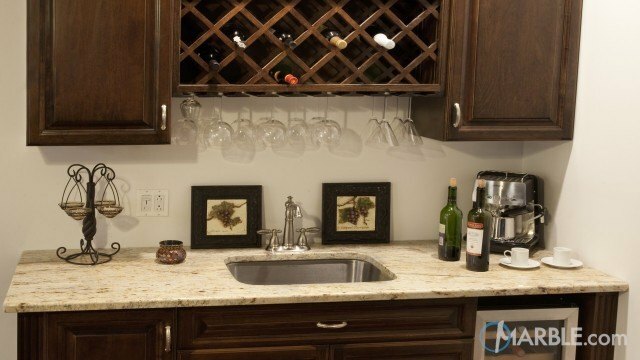 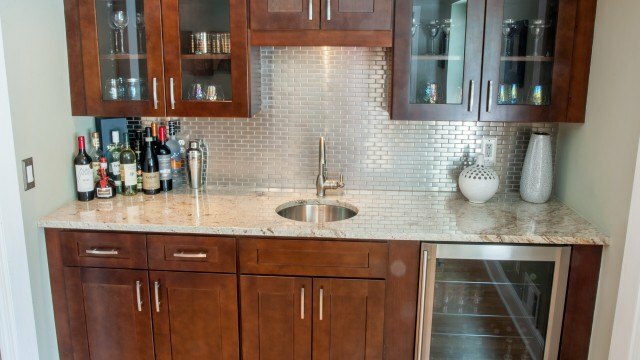 The Multi-brown Gold Onyx counter top has an Ogee Edge, which elegantly matches the cabinetry. 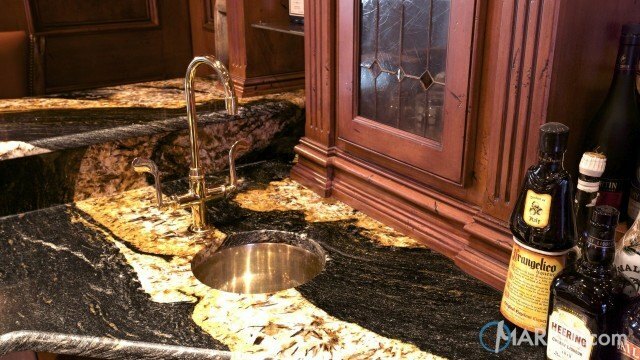 The dark cabinets are set off by the brown in the Onyx and the elegant swan faucet is the perfect accessory. 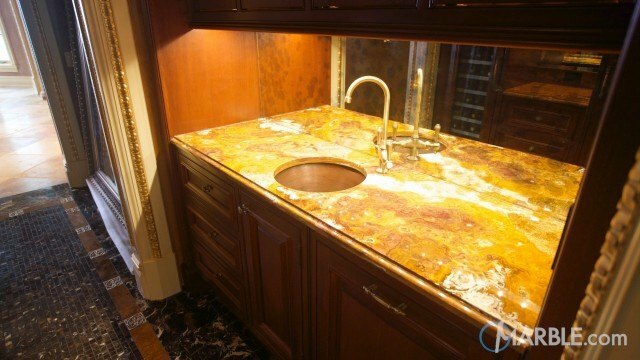 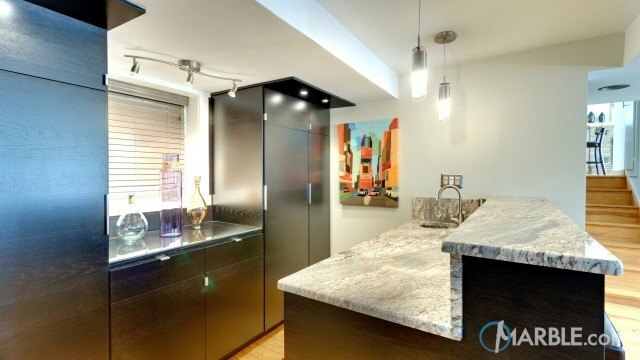 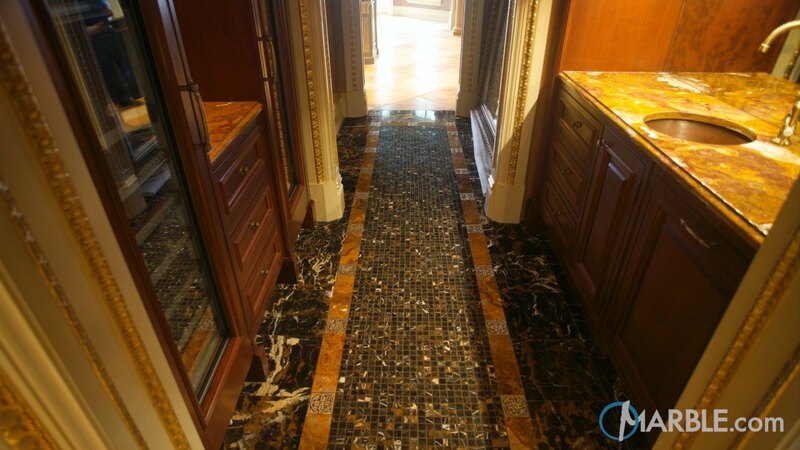 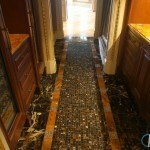 The lights under the cabinets directly shine on the Onyx and bring out the gold and brown in the stone.